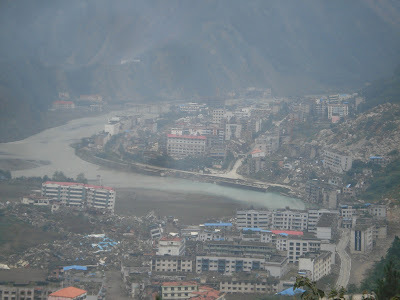 A devasting earthquake hit the province of Sichuan on May 12, 2008. The initial 7.9 magnitude quake lasted two minutes, followed by hundreds of major aftershocks. It claimed 70,000 lives, with a further 20,000 victims missing. 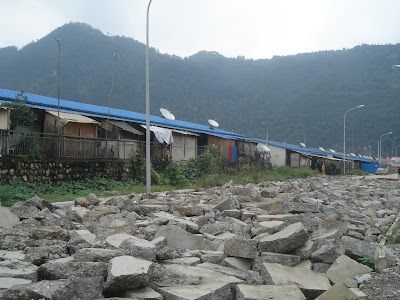 The disaster rocked not only the region but the whole nation. 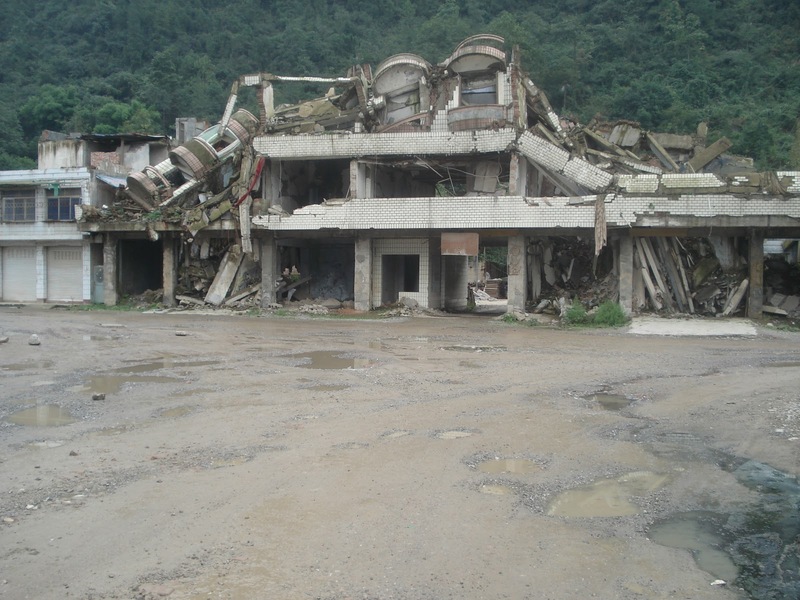 Apart from the northernmost provinces, all other parts of China physically felt the tremors. The country quickly mobilized to rescue any survivors and then rebuild the affected areas. 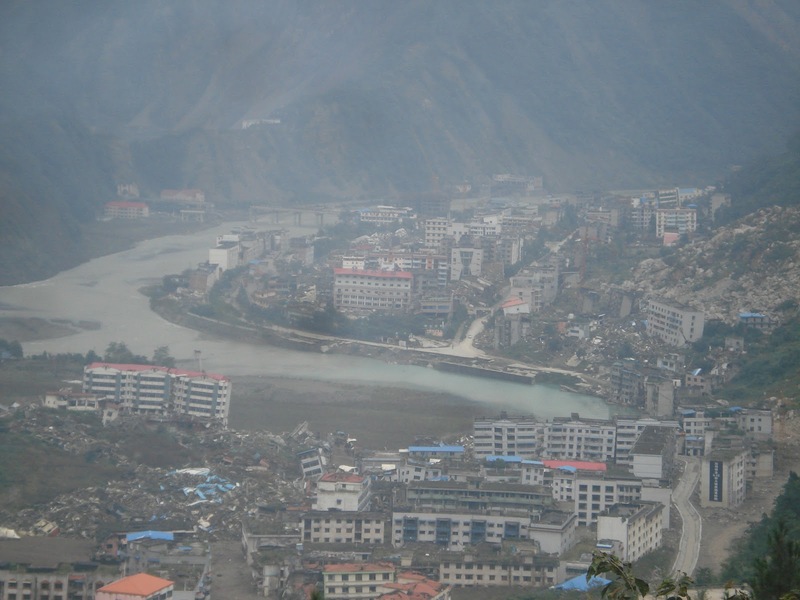 The most severely hit area was Beichuan. An off duty Spanish journalist and I made the journey to the epicenter of the quake. The actual town of Beichuan is fenced off and deserted. We transferred from bus to smaller bus until we finally reached the closest settlement to it. The roads in the region had been remade at an astonishingly rapid pace thanks to large infusions of capital by the government. Many of the neighbouring towns had also been reconstructed, but there was little greenery in the neighbourhoods. With gardens full of rubble rather than grass, the vegetation had not caught up with the concrete foundations of the new homes. We entered one of the few restaurants in the settlement. As neither of us could speak Chinese, we drew the animals we would like to eat for lunch. My artistic skills evaporated under the spotlight of several chuckling townsfolk, but they got the gist of it. After lunch, the restaurant staff corralled a local who dropped us off at Beichuan. Despite the hardship and loss, the people were friendlier and more helpful than most others I encounter on my travels. Beichuan was still buried under debris, landslides having swept away many buildings and leaving others partially submerged in dirt. Temporary accommodation had been set up several kilometers away in the settlement that we had first arrived at, while a new city was being constructed in another location. 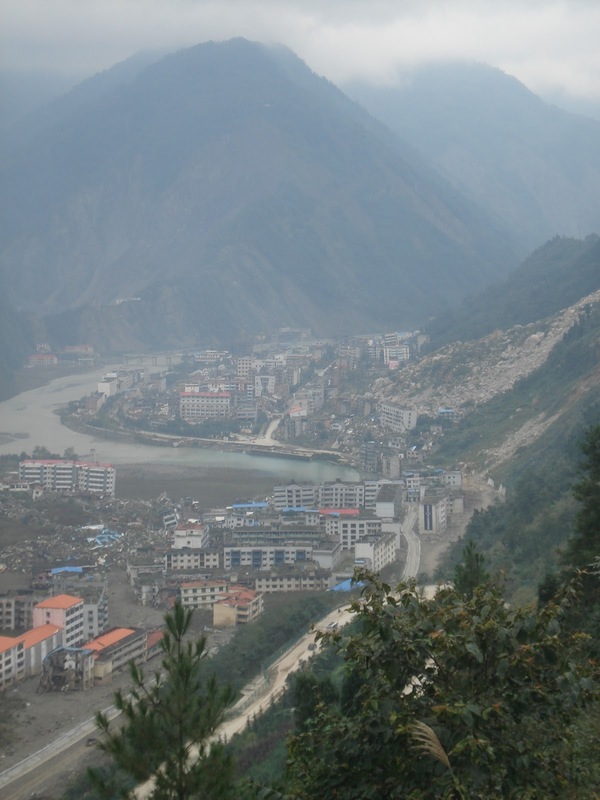 Located at the base of a valley, the former site was deemed too dangerous for future inhabitation. There are plans to convert it into a memorial park. 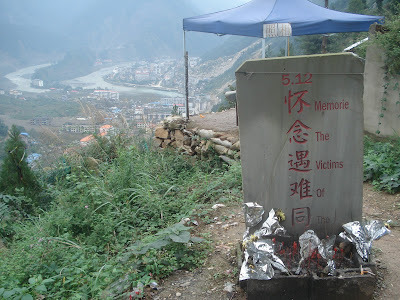 A stone marker with the date of the earthquake etched on it has been erected on a nearby ridge overlooking the valley, and that is as close as we ventured.